hd00:15Driving a Car on a Road in Norway Atlantic Ocean Road or the Atlantic Road (Atlanterhavsveien) been awarded the title as (Norwegian Construction of the Century). hd00:29Driving on a mountain rural road. Point of view camera filming. 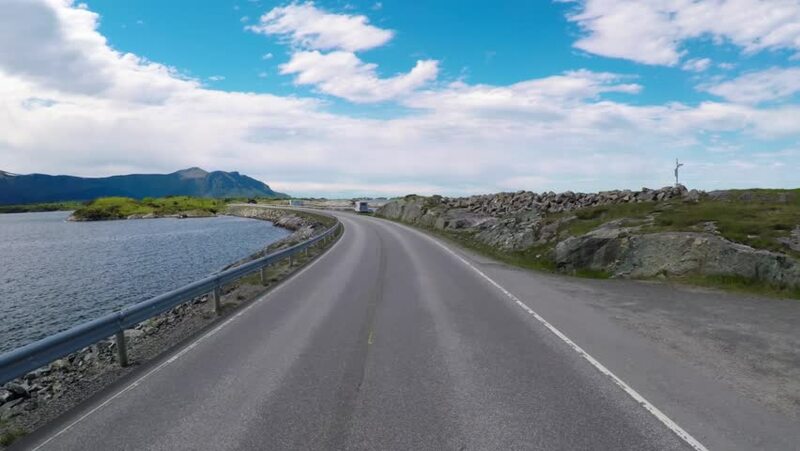 hd00:33Driving a Car on a Road in Norway Atlantic Ocean Road or the Atlantic Road (Atlanterhavsveien) been awarded the title as (Norwegian Construction of the Century). 4k00:18Driving Cabrillo Highway along the Big Sur, California coast.